The sticky rice cake with red bean paste is one of my favorite desserts in local Chinese restaurants. Actually, it is not a very standard Chinese dessert and not many restaurants serve it. 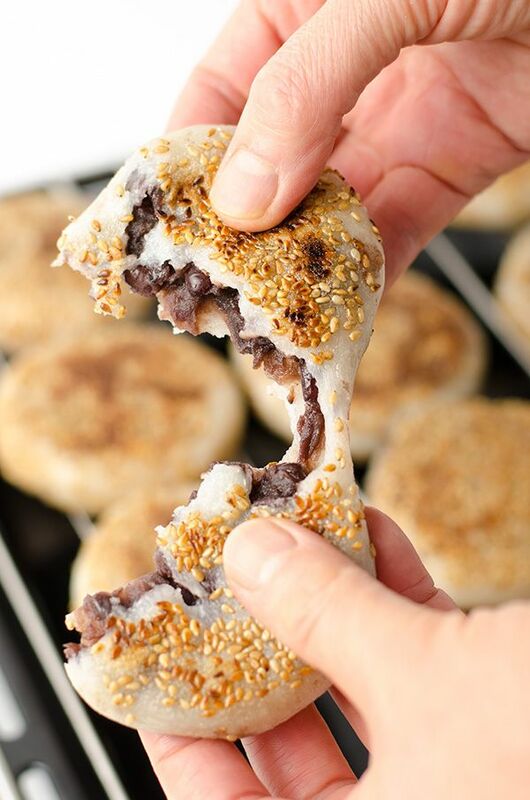 But since both red bean paste and sticky rice are commonly used in Chinese desserts and pastries, to combine them into one treat makes perfect sense. I tried my best to recreate this delicious pastry, but I chose to grill the cake in a skillet instead of deep frying.